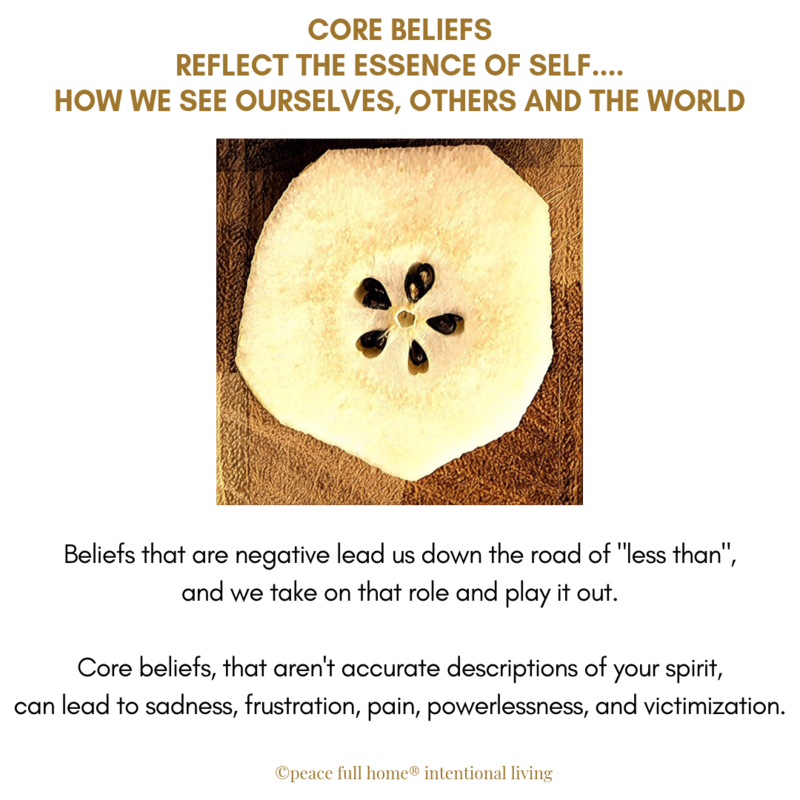 Core Beliefs reflect the essence of self—what we consider absolute truths about ourselves, others and the world. Much of our ideology is developed when we’re very young, as a result of what we’re told (out loud or without one word being uttered). It significantly impacts who we are and what we believe our “worth” is. For some, core beliefs carry them through life on a cloud of magic—I’m amazing, gorgeous, powerful. For many, however, core beliefs continually bury them—Of course, I’m going to fail; I always do. We often embrace concepts that aren’t grounded in truth and replay them so often that they become dogma. Long-held beliefs become embedded in our way of thinking and it seems sacrilegious to even attempt to alter them. Negative assumptions lead us down the road of “less than”, and we take on that role and play it out. Concepts that aren’t accurate descriptions of your spirit, lead to pain, and powerlessness. it’s going to take a lot of work to realize you are beautiful or intelligent or worthwhile. We often see life from a self-imposed, limited reality. 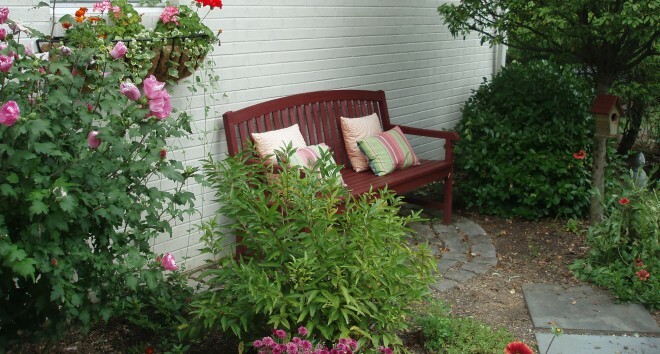 We build from our experiences and create patterns of behavior. The things we do over and over—physically, mentally and emotionally, without a single thought become part of day-to-day realities that we often don’t even notice—like blades on a fan, they’re always there, but when they’re on high speed we don’t really see them. When you truly leave the past behind you, you’re moving toward living with purpose. Intentional, peace-full living requires continually looking at how we walk through life through different lenses. It doesn’t matter if you’re twenty or eighty. We are products of our previous experiences (good and bad) and relationships (healthy or hurtful). But, we don’t have to be victims of them. We’re often “sleep-talking”. Just like sleepwalking (when we’re unaware we’re physically moving through space), sleep-talking is being on verbal auto-pilot; spouting things out loud (or silently to ourselves) without even considering what we’re saying and, often sadly, reinforcing core beliefs that are harmful. When you’re finished with your work for the week, what are you telling the universe is important to you? What beliefs do you hold in your core that seek expression? Those are all core beliefs you deserve to hear. This entry was posted in Peace Full Home and tagged behavior, beliefs, beloved, bills, energy, fans, God In Our Lives, past experiences, sleep talking, sleep walking, space, thoughts. Bookmark the permalink.